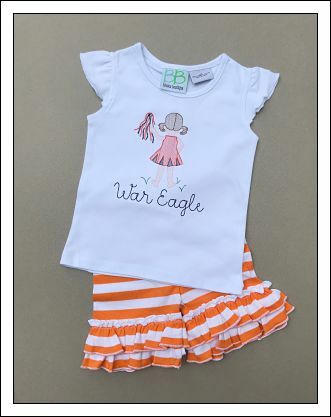 This adorable garment can be created in the team colors of your choice! 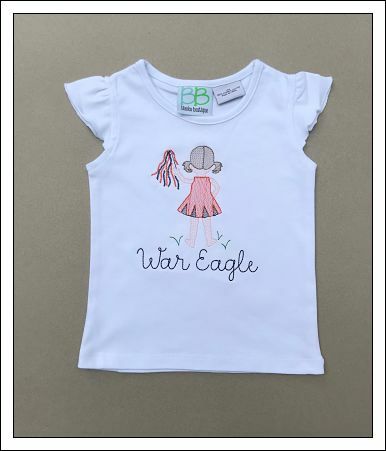 We can personalized it with your child's name, or the team's "battle cry"! You can choose from the garments and sizes that are shown HERE. Be sure to provide all of the information so that your garment can be completed in a timely manner! Shorts are NOT included with this item. Message me if you'd also like the coordinating shorts.